Now in its 14th year, The Northshore’s Best is bigger and better than ever. Every year readers look to the collective opinion of their community to see which businesses, services, health professionals, restaurants, shops and entertainment establishments are chosen as the cream of the crop. And this year, we segmented the voting to designate specific Northshore areas. West St. Tammany, East St. Tammany and Tangipahoa each had the opportunity for their residents to weigh in on their hometown picks. We welcome the winners in those specifically assigned areas to the elite list of Northshore favorites. Along with congratulating the winners, we’d like to thank all of you who voted. Each year the excitement around the event grows and this year we had record participation in our online voting for the 2018 round-up. Your vital input is what makes it possible for us to compile such a vast array of recommendations that are valuable to your neighbors and newcomers to the area all year long.  Sophisticated Woman Magazine is honored to serve as this important link between local businesses and the Northshore communities they serve. We invite you to discover what all of our winners have to offer and look forward to seeing you at our favorite places and events–from the dry cleaner and the grocery, to the best eateries and social events of the year.